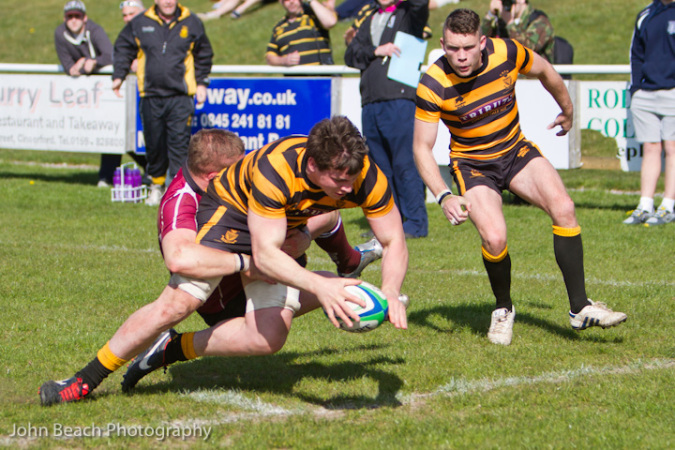 CORNWALL got their Bill Beaumont Cup campaign off to the best possible start with a hard fought 24 – 19 win over old rivals Gloucestershire at Cinderford’s Dockham Road ground. Despite going behind to an early try from Gloucestershire’s skipper Will Warden which fly-half Mike Wilcox converted, Cornwall struck back in kind with a try scored by flanker Sam Matavesi with Paul Thirlby adding the extras. Cinderford winger Lloyd Stapleton scored a second try for Gloucestershire, which remained unconverted. Before half-time Thirlby reduced the arrears with a well-stuck penalty to leave Cornwall trailing by two points 12-10 at half-time. Cornwall upped the pace in the second half taking the lead with a try scored by Redruth’s Craig Williams with Thirlby once again on cue with the conversion. Cornwall lost skipper to the sin bin before Barney Pascall put the homeside ahead with a well-taken try that Wilcox converted for a 19-17 lead. 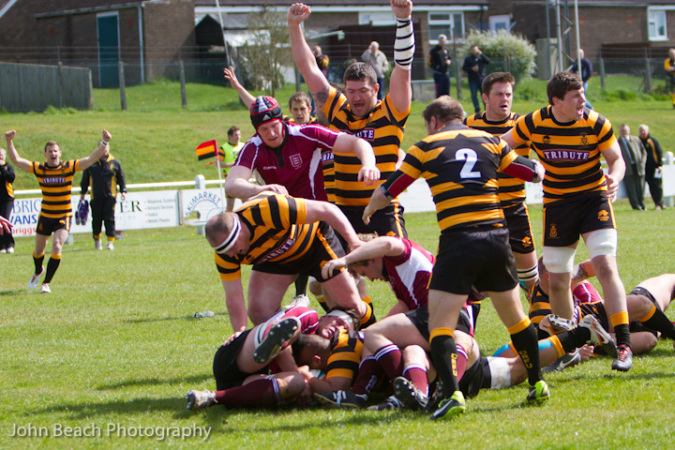 As the game reached it’s climax Cornwall put the pressure on. Gloucestershire lost a man to the bin, the Cornwall forawrds upped the anti. From a scrum near the Gloucestershire line No.8 Sam Hocking broke to score the match winning try, Thirlby slotted the conversion and Cornwall lead 24-19. Despite 6-7 minutes of time added on and Cornwall again reduced to fourteen men the black and golds saw the game out to secure a vital first win. In the other game in the group Hertfordshire defeated Kent 50 – 26. Cornwall: Jake Murphy; Richard Bright (both Cornish All Blacks), Steve Johns (Coventry), Neilson Webber (Cornish All Blacks), Tom Notman; Paul Thirlby; Greg Goodfellow; Darren Jacques, Richard Brown, Craig Williams, Damian Cook (all Redruth), Ben Hilton, Capt, (Cornish All Blacks), Chris Fuca (Redruth), Sam Matavesi (Plymouth Albion), Sam Hocking (unattatched). Replacements: Ben Priddey (Redruth & Royal Navy), Tom Hurdwell, Barry Chapman, (both Cornish All Blacks), Ashley Lawton (Camborne), Matt Shepherd (St Austell) Lewis Vinnicombe (Redruth). Gloucestershire (Cinderford unless stated): Chris Hawkins, Nevaro Codlin, Barney Pascall (Richmond), Kai Done, Lloyd Stapleton, Mike Wilcox, Sam Arnott (Southend); Chris Bundy, Sam Wilkes (Moseley), Mark George (Stouurbridge), Will Warden, Capt (Richmond), Joe Joyce (Bristol/Dings Crusaders), Will Foden, George Evans.